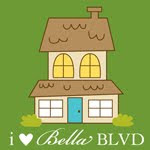 thats the feeling in my house today. crud. marcus has labrynthitis which i had 18 months ago and so is feeling rubbish and dizzy and sick all the time. its been a week so far. he doesnt do poorly very well, so i hope he picks up soon! we went and bought a new lamp today and when we got to the til, it was half price..plus..i had a 15% off voucher. uber cheap lamp! did a couple more blythe hats today and have listed them in my etsy. had to increase the price by 50cents as after paypal take their cut, there's nothing to cover postage. $3.50 is still reasonable. 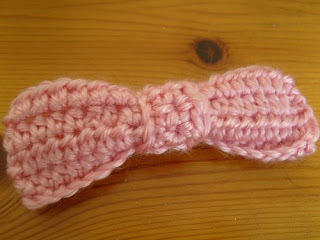 ive also made a pink bow brooch. Love that little pink bow very cute!